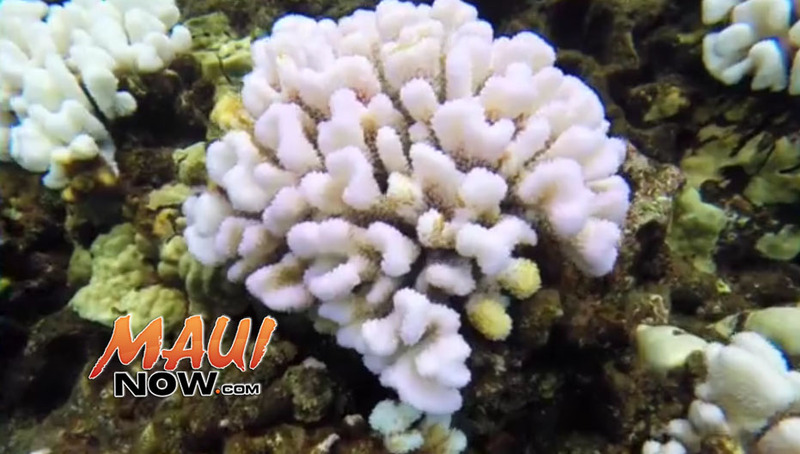 Coral bleaching at Molokini. Image credit: DLNR. 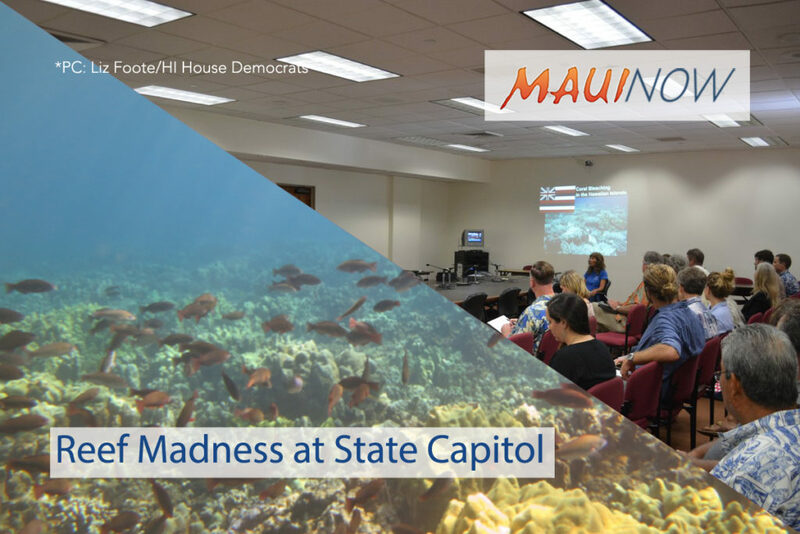 Marine scientists, coastal planners, and local community leaders met recently on Maui to evaluate Maui’s coral reef recovery progress and strategize future efforts. 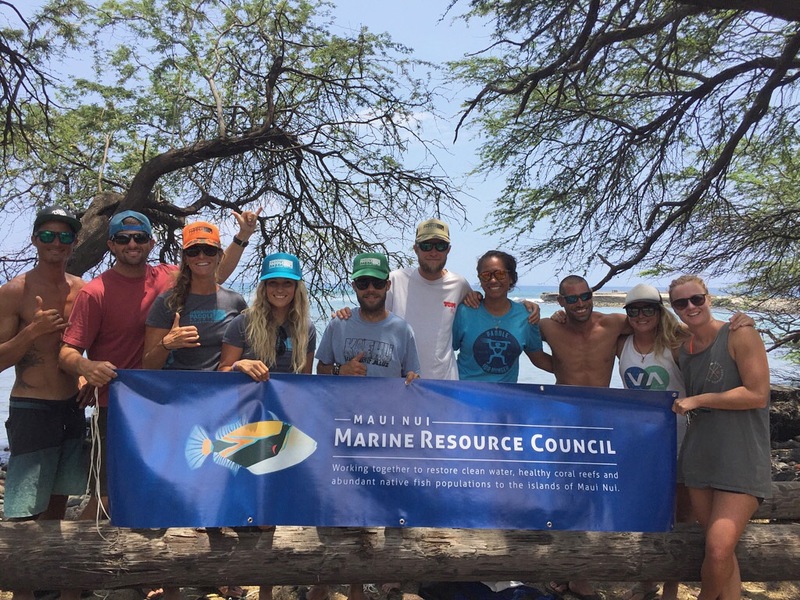 The 13th meeting of the Maui Coral Reef Recovery Team was held at UHMC and assessed recovery efforts at the Team’s three priority sites of Olowalu, Polanui in Lahaina, and Kahekili. During the meeting, members suggested strategies to direct and accelerate recovery efforts on Maui during 2016 and 2017. 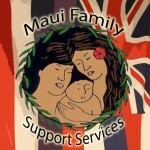 In 2010, the Maui Nui Marine Resource Council established the Maui Coral Reef Recovery Team composed of community members, scientists and cultural representatives, to develop a results-driven plan for the recovery of Maui’s coral reefs: Ola nā Papa i Mālama ‘ia: A Practical Plan for the Technical and Cultural Restoration of Maui’s Coral Reefs. 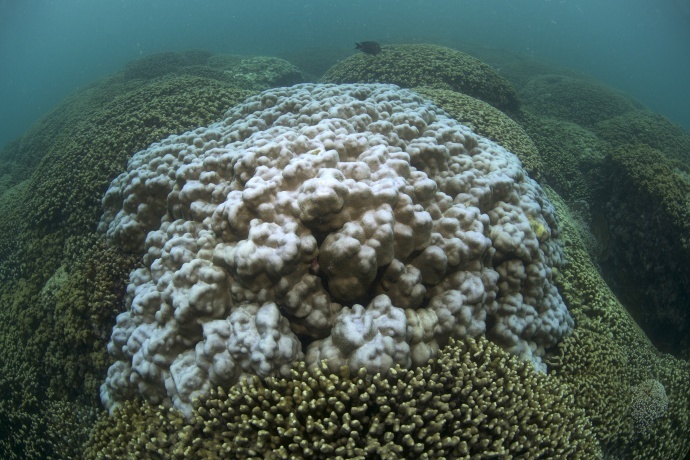 In 2015 the Team authored the comprehensive report Maui’s Coral Reefs: Declining Trends 1993-2015, which combines existing diverse data sets into one format. Both documents address the major impacts to reef health (i.e., land-based sources of pollution, overfishing, deteriorating water quality, invasive algae, and climate change) and provide hope for the future by offering solutions to reverse the decline.